Strategy has been around for over thousands of years and finds its origin in the military and the need for people to defeat their enemies. 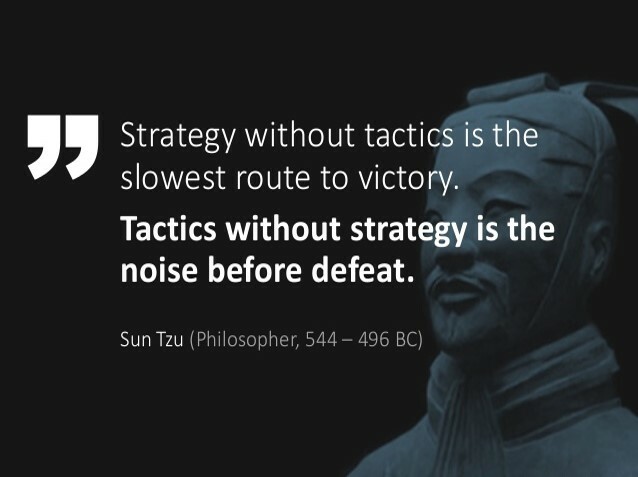 Hence the book that is considered to be the first to have ever covered strategy in narrative form is Sun Tzu’s famous Art of War, written in China around 500 B.C. The term strategy itself is derived from the ancient Greek word στρατηγός (strategos), indicating the general in the army. In business, strategy and strategic management originated only in the 1950s and 1960s through management gurus as Peter Drucker, Philip Selznick, Alfred Chandler, Igor Ansoff, and Bruce Henderson. With the aid of strategic tools such as the SWOT analysis, Ansoff matrix, Growth-Share matrix and the Five Forces model, managers became better able to understand their businesses and the environment, and make decisions on future steps to take. Throughout the years, many more strategic tools have popped up and the word strategy itself has become a catchall term used by both academics and practicioners to mean whatever one wants it to mean. Chandler once defined strategy as ‘the determination of the basic long-term goals of an enterprise, and the adoption of courses of action and the allocation of resources necessary for carrying out these goals‘. However, as the environment became more complex, competition less predictable, technological advancements more disruptive and preparing for the future more difficult, people seemed to disagree about the true meaning of strategy more and more. This is also reflected in Mintzberg’s book Strategy Safari in which he identified 10(!) different general perspectives (which he defines as ‘schools’) in the literature on strategy formulation. Although a straightforward definition of strategy doesn’t seem to work in the world of today, we could at least try to explain what strategy is NOT and what elements a true strategy should consists of. Michael Porter, one of the fathers of strategy, made a clear distinction between strategy and operational effectiveness (OE). Porter defines OE as performing similar activities better than rivals perform them. This could for example mean that a company manufactures products faster, cheaper or with less defects in between due to a more efficient production line. Even though constant improvement in OE is necessary to remain competitive, it is not sufficient. This is because competitors can easily imitate these operational activities and achieve the same results after a while as well. According to Porter, a company can only outperform rivals if it can establish a difference that it can preserve. This is where strategy comes in. 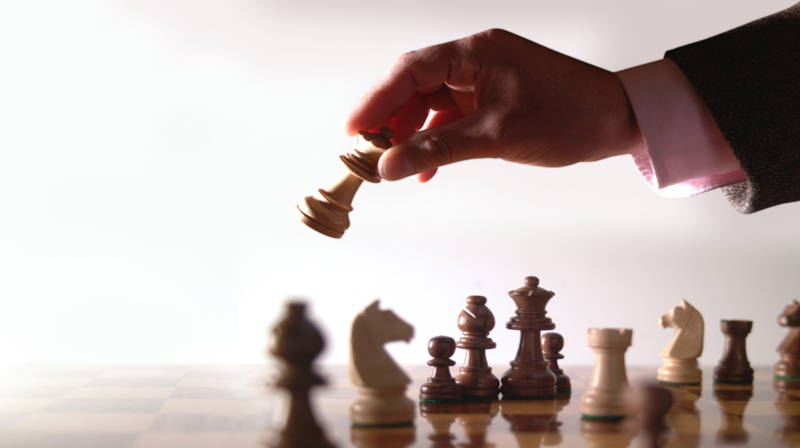 Strategic positioning is about performing different activities from rivals and combining them in such a way that they deliver a unique mix of values. Hence, competitive strategy is all about being different. So what are these activities and how should they be combined? In their article Are you sure you have a strategy?, Hambrick and Fredrickson identified five elements that makes up a strategy: Arenas, Vehicles, Differentiators, Staging, and Economic logic. In their framework (also known as the Strategy Diamond) it is essential that the five elements form a unified whole and reinforce each other. Let’s look at each individual element more closely by taking a real company as example that everybody can relate to: IKEA. Arenas answer the question: where will we be active with our company? This is not just geographically speaking, but also includes what product categories you focus on, what market segments you serve, and what value-chain activities you will take on (e.g. design, manufacturing, selling, distributing etc.). This should be described as specific as possible. Many companies fail to clearly define the Arena they want to play in, thereby creating the risk to loose focus and cause confusion among employees and customers. For IKEA the Arenas are pretty well-defined: IKEA sells relatively cheap but stylish home furnishing products to primarily young, white-collar customers worldwide. This seems logical since IKEA’s main target groups are likely to have limited financial capabilities. Although IKEA maintains control of product design and selling, it outsources manufacturing to keep production costs as low as possible. This in turn reinforces IKEA’s choice to sell relatively cheap products. Now it is clear where your company will be operating, it is important to figure out how to get there. How does your company get the presence and credibility in the desired product category, market segment, geographical area or value-creation stage? Often used Vehicles are internal development, joint ventures, licensing, franchising and acquisitions. However, each of these options have different pros and cons depending on the type of Arenas the company is trying to enter and the prior knowledge and expertise the company has. To choose between these entry-mode options it is recommended to use the OLI framework. IKEA has primarily chosen for organic expansion by setting up its own wholly owned stores rather than acquisitions as existing companies didn’t fit IKEA’s innovative concept (see differentiators). In addition, it is in IKEA’s belief that its own management should fully control its international expansion activities in order to be successful and to minimize risk for brand damage. IKEA wouldn’t have this control with licensing or franchising agreements. Thirdly, a good strategy needs to encompass how the focal company wants to win in the marketplace: how will it convince customers to come its way? Companies often differentiate themselves on factors such as product quality, price, service, brand image, customization etc. Important here is to balance out the options you can choose from. You cannot offer the highest quality products in the market for the lowest prices. High quality equals higher costs. If you try to heavily focus on both, you might risk getting stuck somewhere in the middle offering average products for average prices. IKEA doesn’t offer the best quality furniture but at least it offers reliable quality for very low prices. It also differentiates itself by offering a massive visually exciting store where customers can envision the possibilities of rearranging an incredible amount of furniture themselves. Finally, IKEA offers customers the possibility to take home their desired furniture immediately through an extensive inventory. These are traits many conventional furniture retailers don’t have. A good tool to help establishing meaningful differentiators is the Value Disciplines framework. Staging is all about the speed and sequence of the major moves to take. IKEA obviously started in Scandinavia with its concept, but decided to expand internationally quite rapidly in order to create economies of scale as quick as possible and decrease costs per unit. This in turn would reinforce IKEA’s choice to offer low-cost products. IKEA has however done this only one region at a time in order to learn from every experience and to not get overwhelmed with potential cultural barriers. Moreover, we see that IKEA expanded by targeting foreign countries with similar cultural backgrounds to its home country first, before moving on to countries that are culturally more distant (like Spain, United Arab Emirates and China). IKEA therefore largely followed the so called Uppsala model approach. In addition, it only opened one or two stores in each country in the early stages to enthuse customers and to see how things would work out. Only later, once success was proven in a certain country, IKEA would expand with more stores. At the heart of each business strategy should be described how profits will be generated. After all, we are still dealing with companies. Important to note here is that we are not talking about short term profit gains that would occur due to temporary competitive advantages based on improved operational effectiveness activities as mentioned earlier. The economic logic should deliver strong year-in/year-out profits due to a sustained competitive advantage resulting from a unique combination of different activities. In IKEA’s case, its economic logic comes from its economies of scale and the standarized products its sells worldwide. Practically no other furniture retailer is able to create similar scale economies and is therefore not able to charge lower or even similar prices for similar quality. All aforementioned decisions on the Arenas, Vehicles, Differentiators and Staging seem to come together here to jointly reinforce IKEA’s unique selling point. In short, strategy is all about making deliberate choices on what to do and more importantly what to NOT do. A company can only create a true and sustainable competitive advantage once all elements of its strategy are aligned and reinforce each other in the way IKEA has done it. Competitors would only be able to imitate IKEA’s success if they would copy every aspect of IKEA’s strategy. This is, however, practically impossible due to previously made decisions (path-dependency) and the fact that IKEA’s economies of scale are simply too large to just copy from scratch. Only large multinational companies or Private Equity firms with huge capital investment opportunities could possibly be able to recreate a similar business model in a short amount of time (e.g. through aggresive acquisitions). One major problem would still exist though: overcoming IKEA’s incomparable brand value and the millions of customers worldwide that are loyal to a company as IKEA. Entering the worldwide furniture industry is therefore extremely unattractive for companies. This all proves the relevance of an internally aligned strategy. Hambrick and Fredrickson’s Strategy Diamond is therefore a great framework to establish that. Porter, M.E. (1996). What Is Strategy? Harvard Business Review. Mintzberg, H., Ahlstrand, B. and Lampel, J. (1998). Strategy Safari: Complete Guide Through the Wilds of Strategic Management. Hambrick, D.C. and Fredrickson, J.W. (2005). Are You Sure You Have A Strategy? Academy of Management Executive.